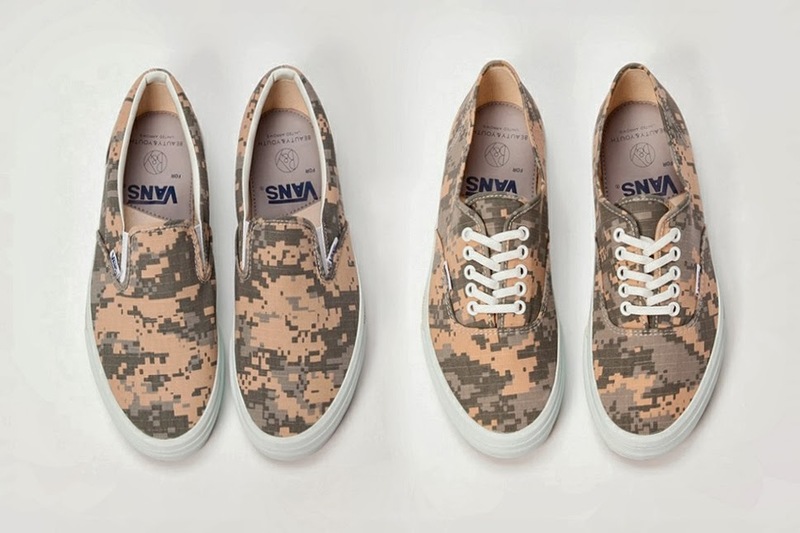 UNITED ARROWS‘ BEAUTY & YOUTH imprint has teamed up with Vans again this spring for a successor of sorts to last year’s pack of Harris Tweed-constructed kicks. Featuring both the Authentic and the Classic Slip-On, the new release is highlighted by a digital camouflage motif across the entirety of each silhouette’s upper while co-branding is subtly incorporated along the footbed. Look for both pairs to be available soon via UNITED ARROWS’ online store.